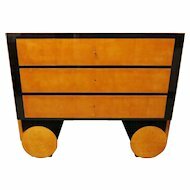 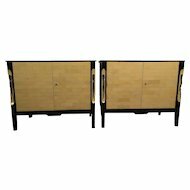 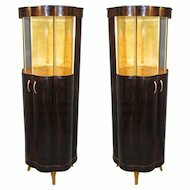 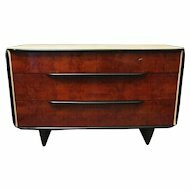 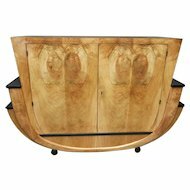 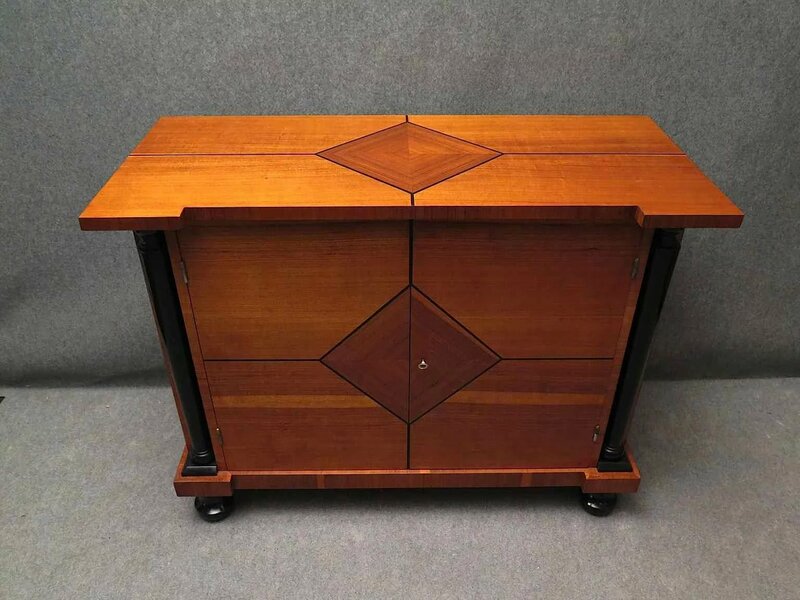 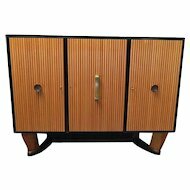 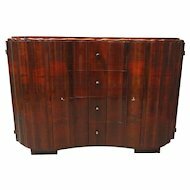 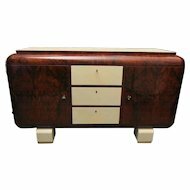 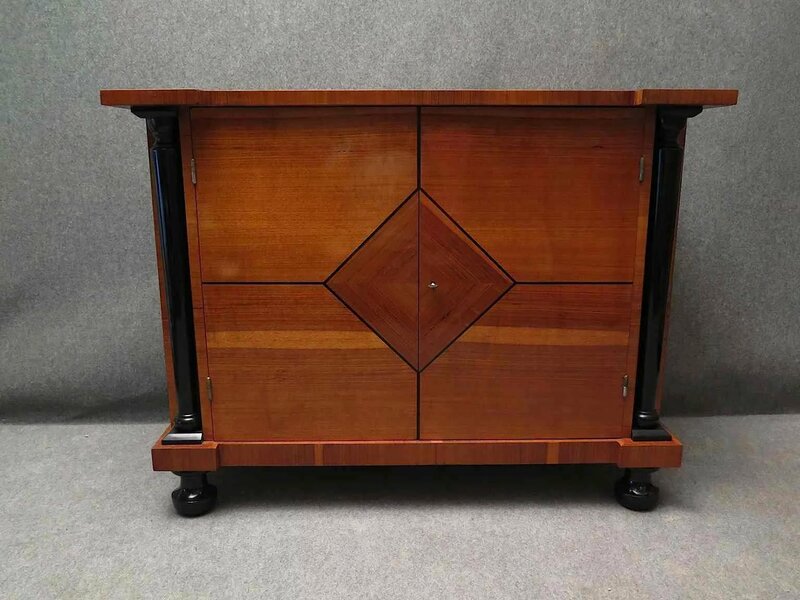 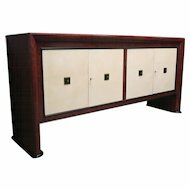 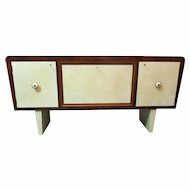 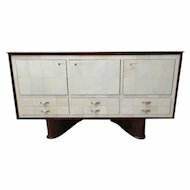 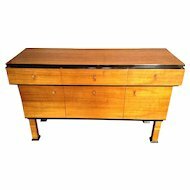 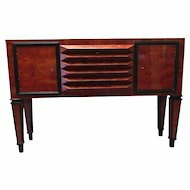 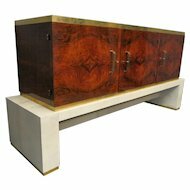 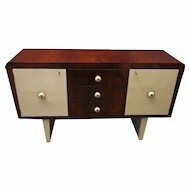 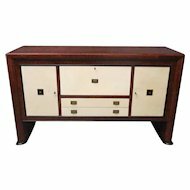 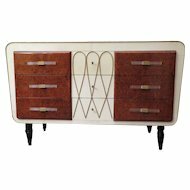 Austrian Art Deco Sideboard Veneered in Pear Wood; with distinctive ebony stringing and classical columns. 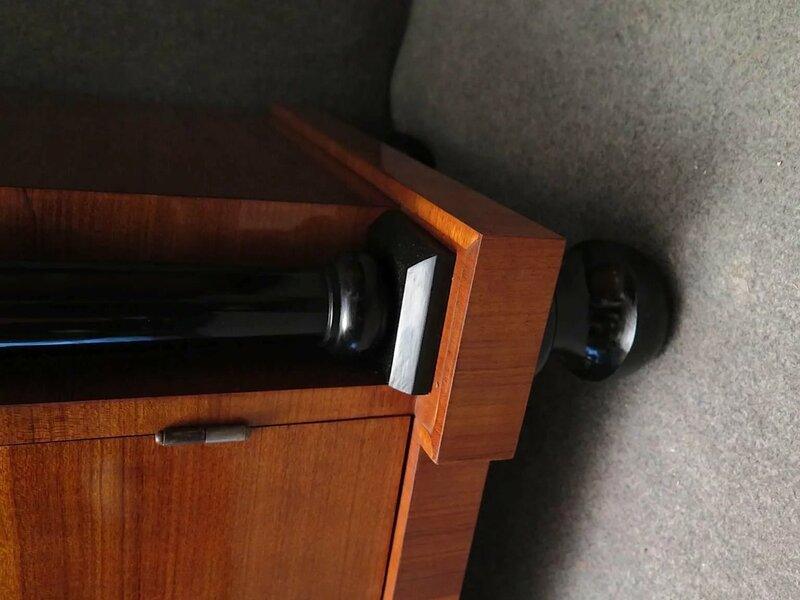 Resting on ebonized bun feet. 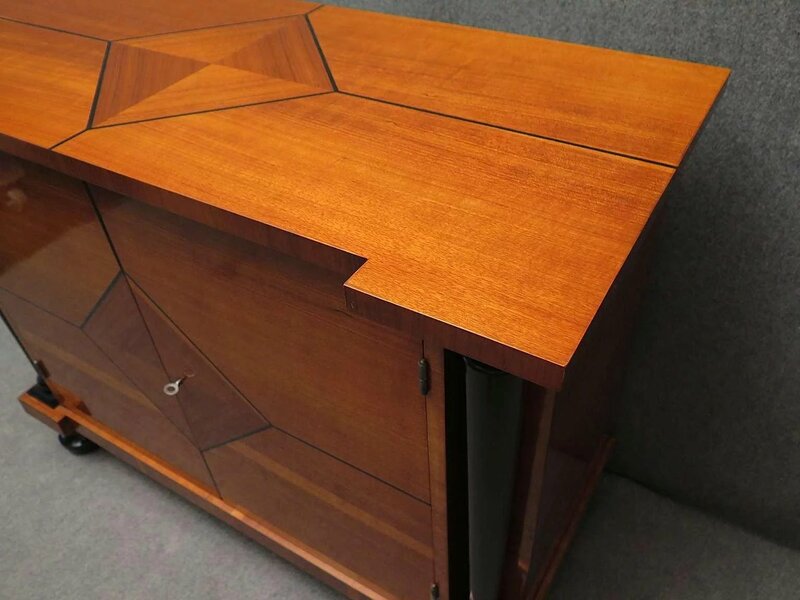 Graphic diamond shaped inlay to the top and front. 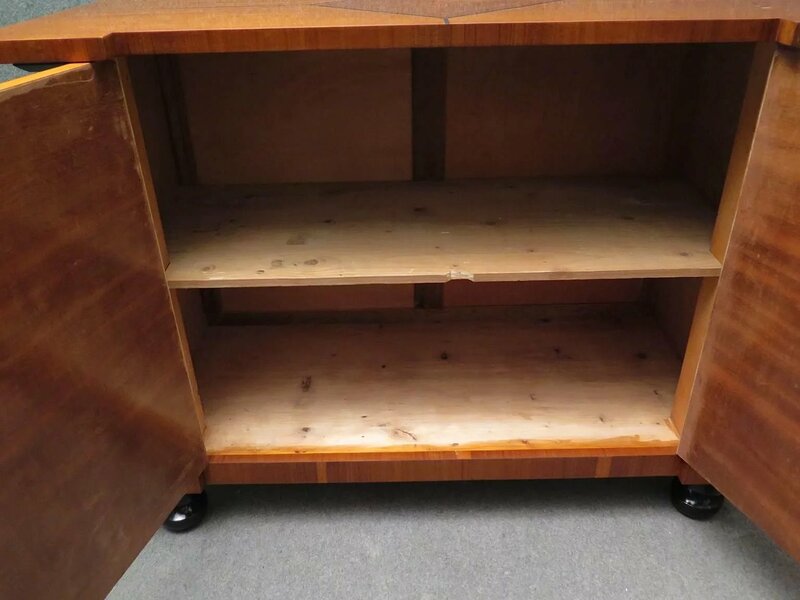 The locking interior fitted with one shelf.